outMail is a secure & safe SMTP SmartHost and Mail Relay service allowing you to send emails from any SMTP aware mail client, server and mobile device. 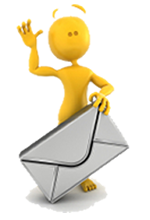 outMail is a Authenticated SMTP service. Secondary DNS (Backup DNS) provides redundant domain name services for a domain that you own and manage. 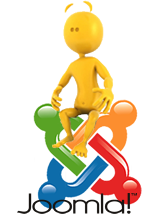 Joomla is an easy to use Content Management Service (CMS), which allows you to be in control and manage your own website content. Prolateral's email antispam solution (profilter) prevents email spam from reaching your network and improves employee productivity by virtually eliminating the need to read and delete unsolicited messages. Our extensive experience in running large and small real-world IT systems means that we can provide answers to real-world problems. Our lean operation allows us to remain nimble and current with technology and skills to provide you with the best solutions. Exceeding your expectations, and providing you real business benefits and peace-of-mind, allows you to concentrate on running your business. Click below to receive a call back or email us online. Looking to extend your service portfolio with a fully managed solution that also includes modules to plug into your own WHMCS? Become a Prolateral Partner and offer profilter (a hosted email spam filtering), outMail (secure outbound mail relay and SMTP Smarthost) and Domain Name solutions (Primary DNS, Secondary DNS and BackUp DNS solutions). All the these services are managed online with a very easy to use portal. WHMCS Module is available for you to add these great services to your already online client management and billing system. 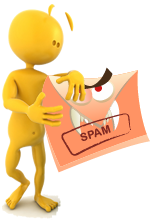 Want to be rid of your spam forever? Want to help your clients and profits with no extra effort?